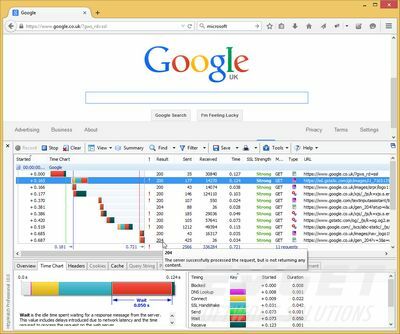 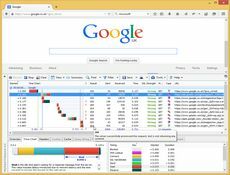 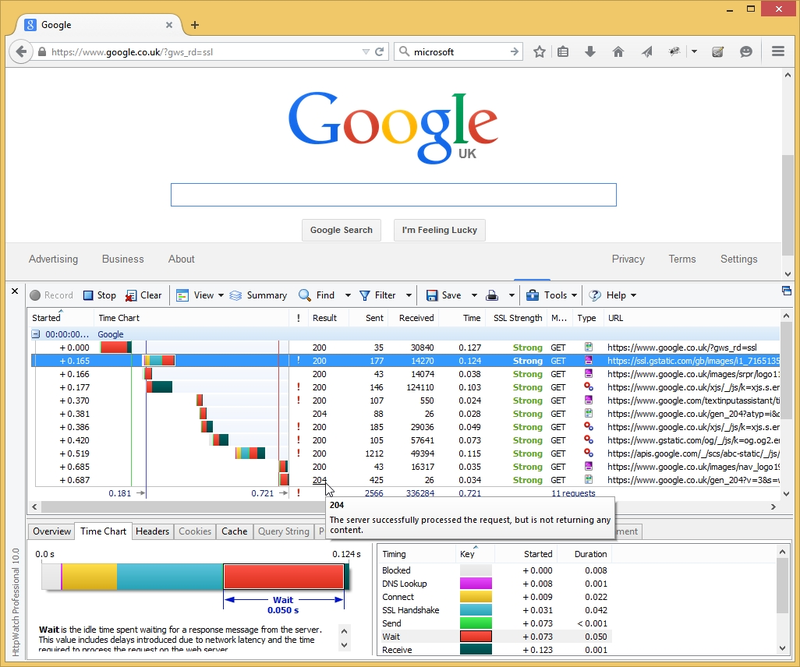 HttpWatch is an integrated HTTP sniffer for IE and Firefox that provides new insights into how your website loads and performs. 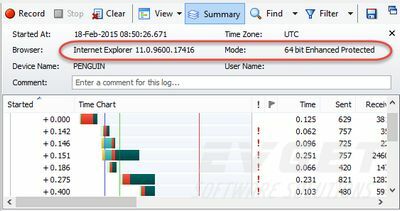 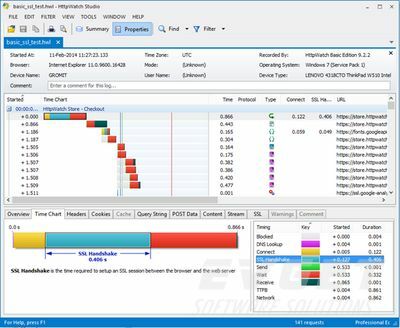 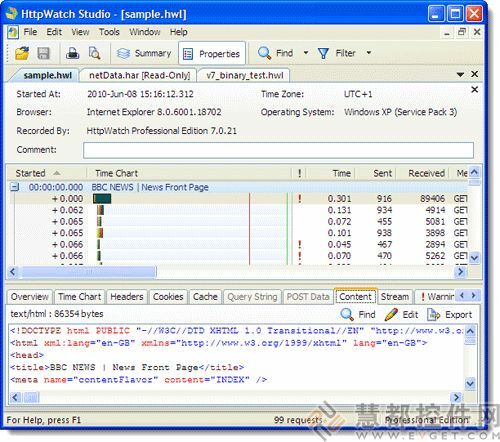 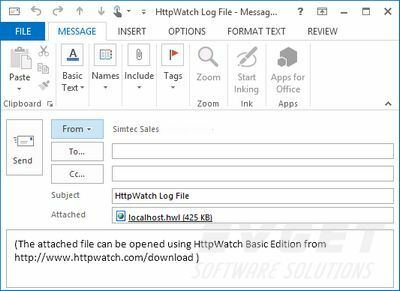 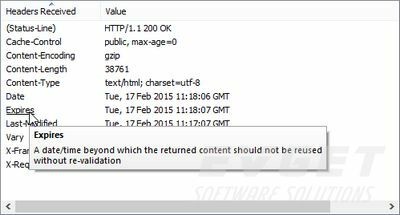 A standalone log file viewer allows HttpWatch .hwl files to be viewed and modified outside the browser. 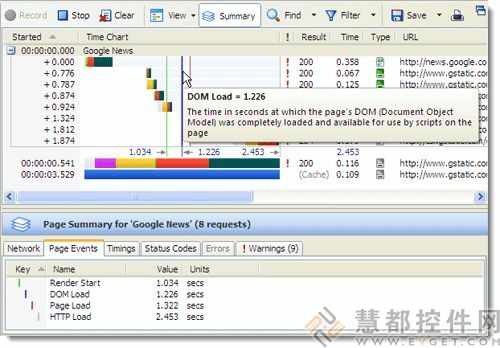 Errors - any network or HTTP level errors are displayed on this tab. 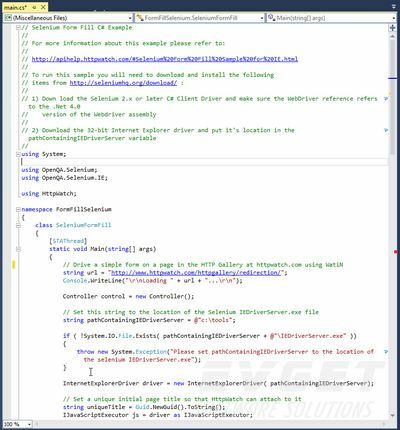 Double clicking on an error finds the first request that caused the error. 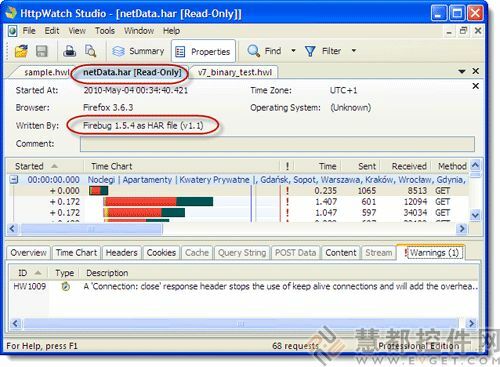 Pressing F3 then takes you to the next request that also failed in the same way. 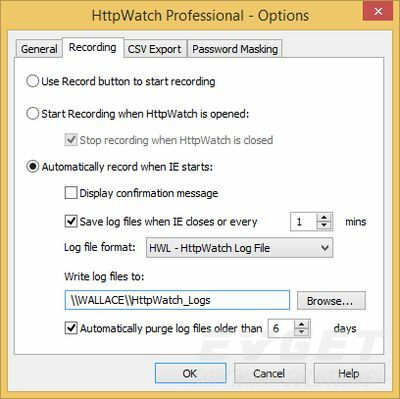 Warnings - any warnings that were detected by HttpWatch are summarized on this tab. 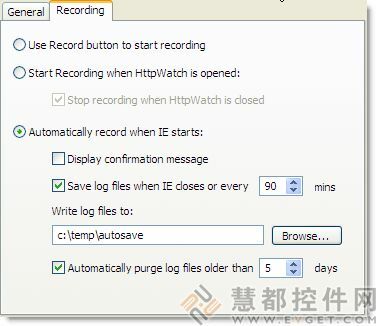 Double clicking on a warning finds the first request that on which the warning was detected. 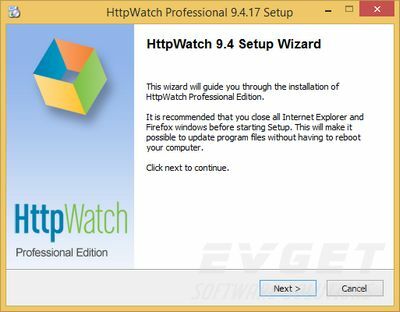 Pressing F3 then takes you to the next request that also has the same warning. 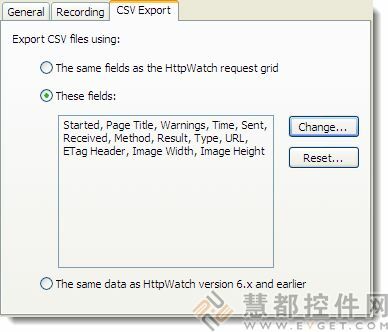 Requests are grouped by page as shown below. 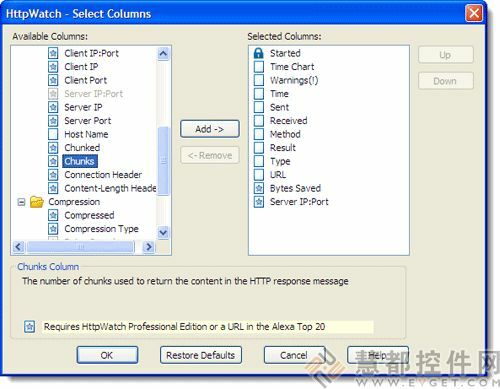 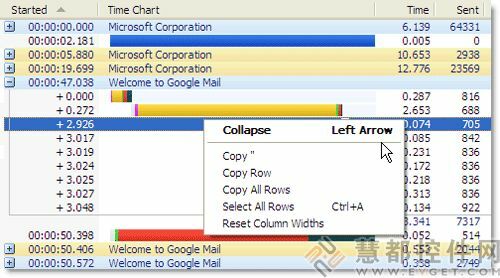 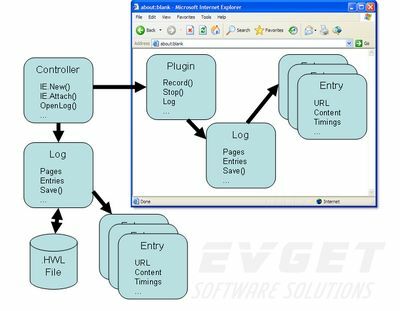 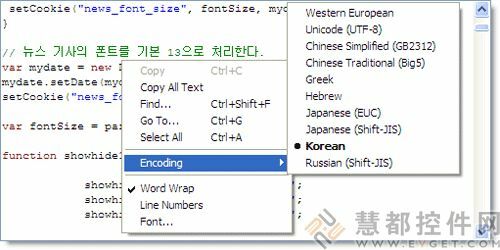 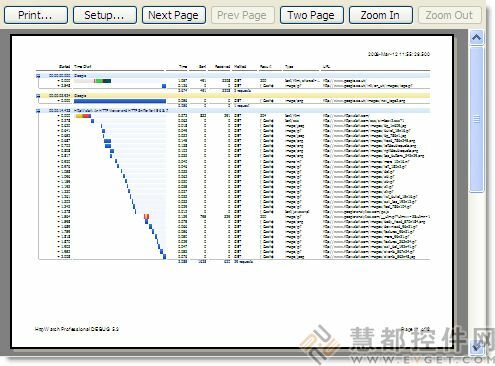 Each page group can be separately expanded or collapsed to aid navigation through large log files.